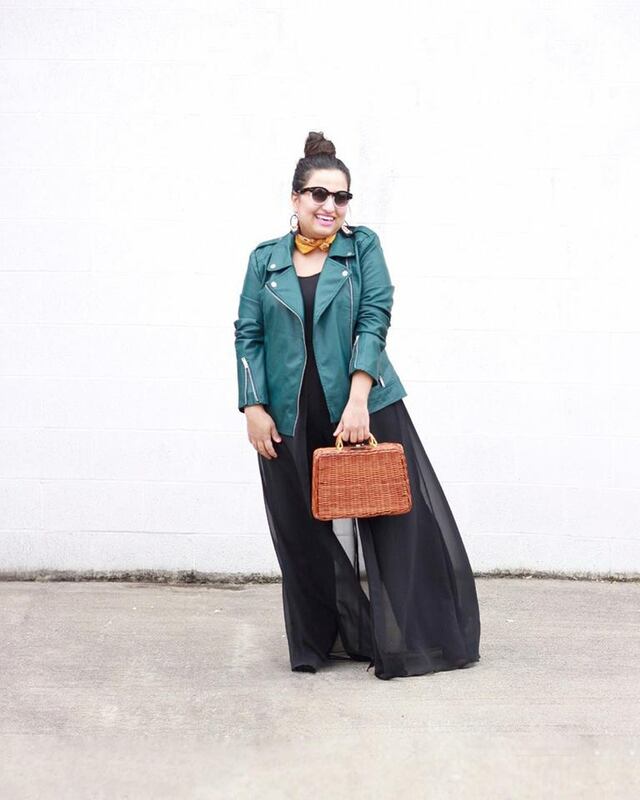 I recently compiled a list of 30 closet staples and of course, a moto jacket made the cut. They are extremely versatile, can be dressed up or down and come in handy when I want to add a more masculine element to a very feminine look. 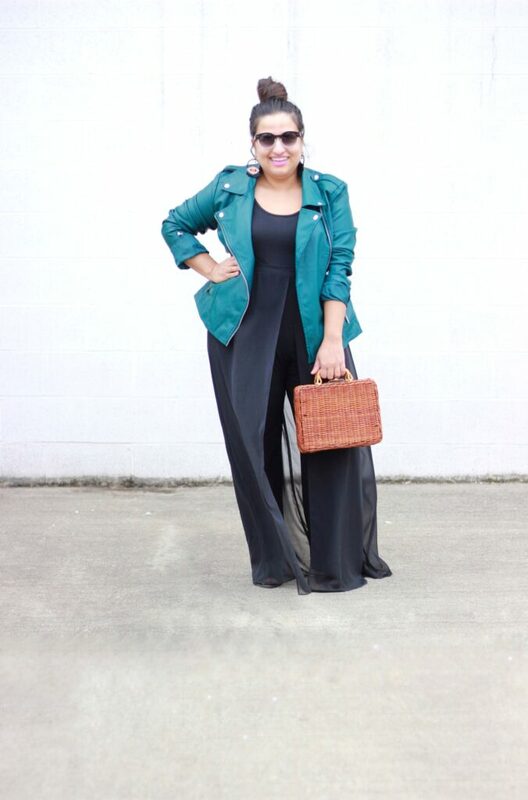 Here, I mixed old with new by pairing my green moto jacket with a vintage pant / skirt and my new vintage wicker bag that I got for $2. If you like the idea of a moto jacket but not sure where to start, I recommend starting with a black jacket and slowly adding some options like pink or yellow for a pop of color! See my collection of moto jackets here.